We’ve been hearing about the impending depletion of IPv4 addresses for years, but that day is finally upon us -- the free supply of IPv4 numbers in North America will be completely gone within a month or two. However, as the world slowly transitions to IPv6, there’s no cause for alarm. A significant quantity of unused, previously allocated IPv4 numbers are readily available for re-distribution to IP network operators that need them. And an active private market for IPv4 addresses has emerged to allow companies with these excess IPv4 numbers to sell them to those in need. These market-based approaches to redistribution of previously allocated IPv4 numbers could provide enough IPv4 addresses to support the Internet’s growth for at least five to six more years, based on reasonable growth assumptions. The Internet Engineering Task Force (IETF) launched two initiatives in the early 1990s to confront the free-pool exhaustion problem: It developed a new protocol to replace IPv4 and recommended the formation of a regional Internet registry (RIR) system to allocate IP numbers on a global basis. IPv6, provides for up to 3.4 x 1038 unique IP addresses, which is easily enough to support the expected growth in the Internet for the foreseeable future. However, incompatibility between IPv4 and IPv6 has hobbled the transition. The RIR system was designed to track the existing allocations and impose controls on the distribution of IPv4 numbers from the remaining free pool of unallocated IPv4 numbers. There are five RIRs, each exclusively serving a geographic region. The American Registry for Internet Numbers (ARIN) is the largest RIR by the total number of IP addresses in its registry. ARIN’s region includes the United States, Canada and most of the Caribbean and North Atlantic islands. On Jan. 31, 2011, the last of the unallocated IPv4 numbers were handed out by IANA (a department of ICANN) to the five RIRs for distribution to their respective members. To date, three of the five RIRs have nearly depleted their IPv4 inventories. ARIN, with fewer than 3 million numbers remaining, is expected to deplete its IPv4 free pool inventory by mid-July. The African-based RIR has enough supply to serve its region until at least 2019. Compounding the problem, the need for numbers on a global basis continues to grow rapidly. 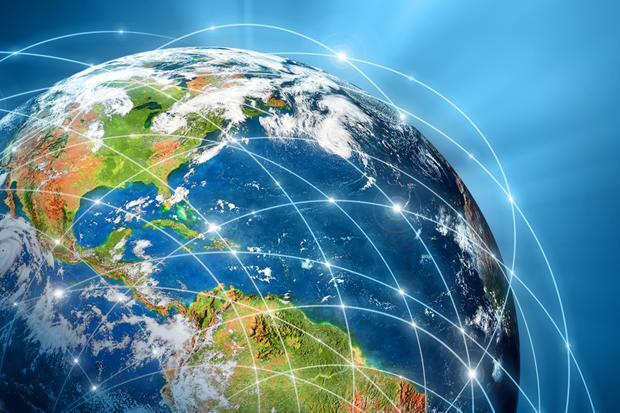 A report by the Organization for Economic Cooperation and Development found that in 2012 alone, the global market connected nearly 500 million net new devices to the Internet. As the Internet of Things becomes a reality, that number is expected to hit 50 billion by 2030; each device, from smartphones to washing machines, will have its own globally unique IP address. Despite its generous capacity, IPv6 is not ready to satisfy the increasing demand for Internet connections because very few network operators and end users are actually moving to IPv6, due to a number of challenges. Replicating the IPv4 infrastructure hardware and software, and developing IPv6-specific applications and other content -- while still operating the IPv4 stack -- is expensive without any meaningful immediate return on the investment. By the end of April 2015, IPv6 traffic represented approximately 6% of total Internet traffic, according to Google’s IPv6 adoption statistics. Migration to IPv6 will not occur fast enough to support continued Internet growth before all of the RIR IPv4 free pools (with the exception of Africa) are effectively depleted in mid-2015. IPv4 free-pool depletion workarounds are filling some of the gap. Dual stacking is a network infrastructure architecture that requires each end point, and every router and switch in the “dual-stacked” network, to run both IPv4 and IPv6 protocols in anticipation of receiving data in either format. Tunneling is a network configuration, with supporting systems, used to encapsulate IPv6 packets into IPv4 packets to facilitate communication between IPv6-enabled end points over an IPv4-based network. Dual stacking and tunneling ease the IPv4 to IPv6 incompatibility problems for organizations that want to switch their networks, content and applications to IPv6 while continuing to communicate with their end users, peers and upstream network operators who largely remain on the IPv4 Internet. But these technological “fixes” do not generally improve the business case for investing in a migration to IPv6 -- not when most of the content and customers remain on IPv4. Large scale/carrier grade Network Address Translation is a third technical workaround. CGNs allow many end points served by a single carrier to share a smaller number of unique IPv4 addresses. By using CGNs, network operators can extract more value from their existing IPv4 infrastructure investment and reduce their need for additional IP numbers, but there are costs. Designing, procuring, implementing and operating CGNs give rise to capital and operating expenses. There are also other problems. Endpoints sharing IP addresses behind CGNs are not separately discoverable from the public Internet. Because more than one subscriber may be using the same IP address, CGNs can frustrate law enforcement seeking to identify bad actors, and impede proper functioning of Internet security and other Web-enabled applications that depend on unique endpoint IP address mapping. Extensive use of CGNs adds complexity to the networks that use them, and that complexity can compromise network availability, reliability and scalability. There is also a concern within the Internet community that end-point obfuscation caused by CGNs will stunt the development of important Internet innovations and adversely affect its architecture. IPv4 number trading between private parties has developed in North America, Europe and the Asia Pacific region as a market-driven solution to free-pool depletion. Many previously allocated IPv4 numbers are unused or inefficiently utilized. The IPv4 market creates financial incentives for those entities to invest in efficiently renumbering their IPv4 blocks to free up excess inventory to sell to others who need more IPv4 numbers. The most widely publicized sale of IPv4 numbers occurred in 2011, soon after IANA exhausted its supplies. Microsoft purchased Nortel’s IPv4 inventory of 666,624 legacy numbers for $7.5 million. Since that time, the sale, lease or other conveyance of IP numbers has accelerated. The IPv4 market is very active in European and Asia Pacific regions. In North America, the market is in its early stages largely because ARIN still has free numbers to give out; nonetheless, trading activity has steadily increased. During 2014, ARIN recorded over 4.5 million numbers transferred between private parties. In the first quarter of 2015 alone, the volume of ARIN’s registration transfers jumped to approximately 11 million. The IPv4 marketplace is not well understood. There are no established standards of conduct, little transparency and even less accountability. Many participants in the market struggle to define, from a legal perspective, what is being bought and sold. For example, buyers typically want to obtain the exclusive rights, title and interest in and to the numbers they purchase. But informed sellers resist committing to convey “title” because classification of IPv4 numbers as property is not well settled under the law. ARIN vigorously advocates the position that IPv4 numbers are not property. While ARIN’s policy position on the matter has no direct legal effect, it does add to the uncertainty of what a buyer gets when it purchases an IPv4 block. Classification of IPv4 numbers as property would eliminate much of this uncertainty. It would also allow the market to evolve around the mature norms of other property-based asset sales and markets, including effective means for parties to qualify and enforce their exclusive rights to IPv4 numbers. ARIN’s transfer policies discourage some buyers (and potential registration transfer recipients), from presenting their transactions to ARIN for registration approval, which introduces inaccuracies into the registry. When the RIR registries are inaccurate, there can be considerable adverse economic consequences for both potential sellers and buyers of the affected blocks, since potential buyers rely heavily on the RIR registry records as part of their necessary due diligence to determine whether a particular seller has the authority to sell or transfer a designated IPv4 block. ARIN’s current registration transfer policy focuses on ensuring that the recipient satisfies certain requirements to prove how many numbers they will actually use in their IP networks over a 24-month period. This policy may successfully limit the size of IPv4 blocks registered by ARIN to a specific buyer in a single transfer request, but it does not actually limit the size of the IPv4 blocks that are traded between parties. For example, a buyer could legitimately purchase options that lock up four years’ worth of IPv4 supply, and then initiate two transfers -- one 24 months after the other, all in compliance with ARIN’s needs-based transfer policy. Some buyers go further and bypass ARIN registration entirely, which allows them to consummate transactions without the size limits or other policy controls imposed by ARIN. These “grey market” participants employ alternative means, like long-term leasing without a formal registration transfer, to obtain control of the numbers they acquire. In both cases, the result is the same: The registry continues to list the seller as the registrant of an IPv4 block even though the block has been sold (or optioned) to a third party, and the seller no longer has a contractual right to use the block. As an additional unintended consequence, ARIN’s restrictive transfer policies are encouraging some North American network operators to avoid transactions involving ARIN altogether. They acquire and then register their IPv4 blocks in a region where it is significantly easier to conduct IPv4 trades in the open. The burgeoning IPv4 broker industry is another artifact of the new market. There are only a few brokers offering services specifically to IPv4 market participants. This relatively discrete pool of participants will likely grow as the volume of IPv4 trades increases significantly over the next several years. There are no meaningful barriers to entry for IPv4 brokers and there is no self-regulatory body to enforce minimal qualifications, experience or codes of conduct. Assessing the qualifications and ethics of prospective brokers, and managing the quality of their performance once engaged, is critical to success for market participants. Buyers and sellers are trading and transferring numbers notwithstanding the uncertainty and disorder that characterizes the current IPv4 market. Market participants must take important steps to minimize the risks and execute successful transactions. Before participating in the marketplace, both buyers and sellers should understand the specific exclusive rights in IPv4 numbers that can be conveyed effectively, identify and assess the trade-offs of the available deal approaches, and select the approach that best fits their business objectives. For sellers, flexibility is important to attract buyers and enhance the value of their transactions. One-time asset sales agreements are common for block trades involving 262,144 numbers or less. Larger deals can include options, installment payments and phased delivery, seller or third-party financing and other creative value enhancing features like allowing the seller to take a portion of the purchase price in the form of credits that it can use to offset purchases of unrelated enterprise services supplied by the buyer. Familiarity with the specific RIR's registration transfer policies, before starting negotiations, is also essential to a buyer’s success. Both ARIN and APNIC, for example, expressly allow potential buyers to pre-qualify for block sizes under their needs-based transfer policies -- thereby alleviating at least some uncertainty in the registration transfer approval process. If either buyer or seller decides to enlist the assistance of a broker, adviser or other form of intermediary, they should test the broker’s experience and understanding of the industry by interviewing multiple brokers, and researching the credentials and backgrounds of the firms’ professionals. Getting references in this business is tough; no one wants to go on record.